Elastic Wrist Splint is ideal for Carpal Tunnel Syndrome, wrist sprains, overuse injuries, tenosynovitis. 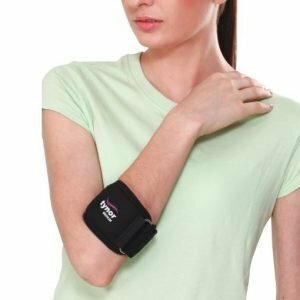 It gives immobilization to the wrist and it holds the wrist in a position that leaves the nerve pathway open and unrestricted which is compressed in the condition of carpal tunnel. Elastic Wrist Splint is designed in such a way that it does not extend past distal palmar crease allowing full finger range of motion. 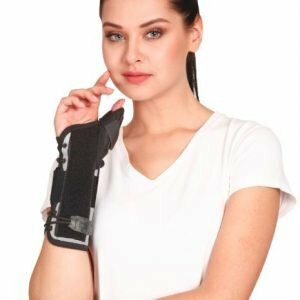 Elastic Wrist Splint is designed to immobilize and provide firm support to hand and wrist in various orthopedic conditions. 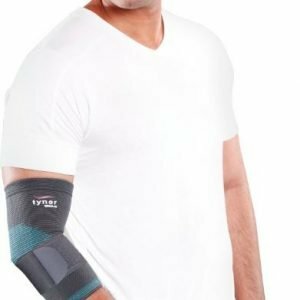 It maintains the wrist in the dorsi-flexion/ functional position while allowing full range of motion to fingers and thumb. 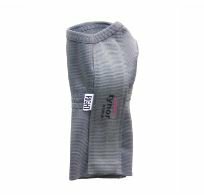 It compresses and retains the body heat to allay the local pain and inflammation. The product can be removed to permit, therapy sessions, washing and hygiene. 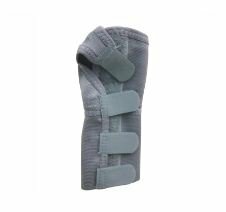 Removable aluminum splint is customizable, required degree of dorsi-flexion can be achieved. It ensures very good grip and immobilization.